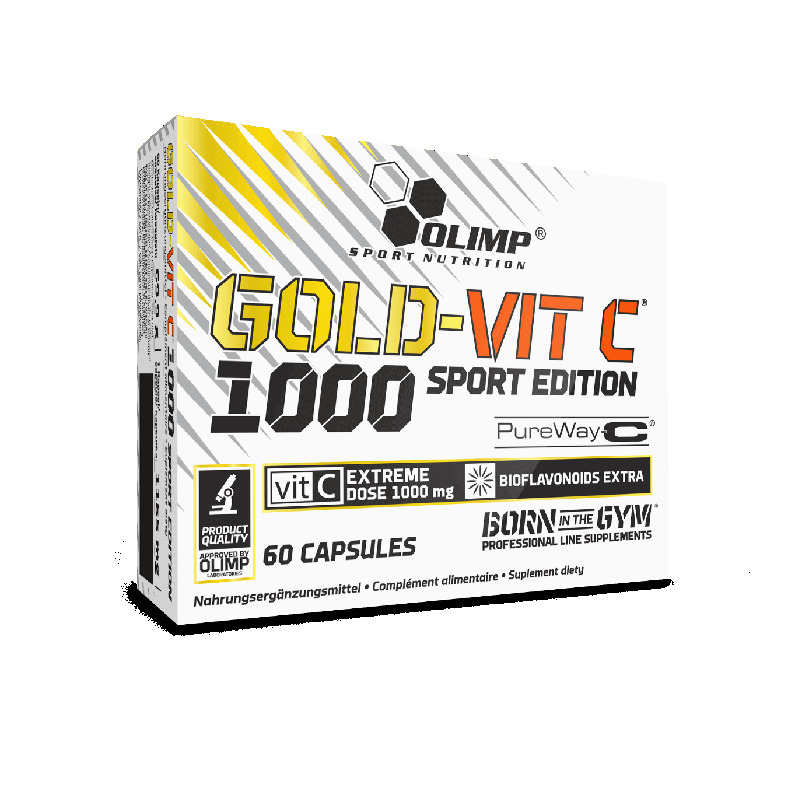 > CATEGORIES>Vitamins>GOLD VIT C 1000 Sport Edition - 60 CAP. 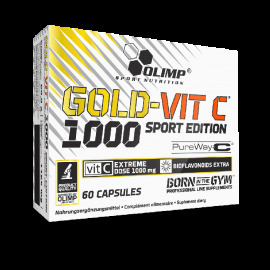 GOLD VIT C 1000 Sport Edition - 60 CAP. By buying this product you can collect up to 11 loyalty points. Your cart will total 11 points that can be converted into a voucher of 0,33€. 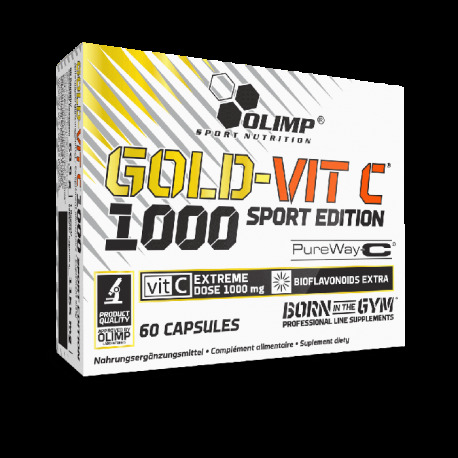 Gold-Vit C 1000® is an innovative and safe dietary supplement which contains a maximum dose of vitamin C in a patented form of PureWay-C®. PureWay-C® is vitamin C in the form of a complex of L-ascorbic acid and citrus bioflavonoids. Vitamin C plays several important roles in our bodies. First of all, it is a very-effective antioxidant which eradicates free radicals. It also has the most-profound impact on people who do intense workouts. It has been proved that taking vitamin C regularly as a precaution reduces the risk of the common cold in athletes.